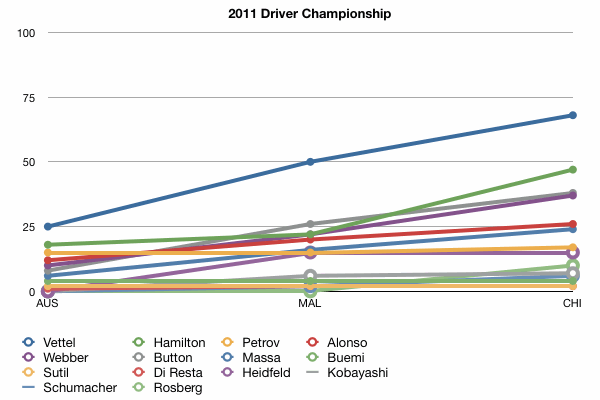 Sebastian Vettel retains his lead at the top of the championship, but the gap has closed a little. Lewis Hamilton has jumped above his teammate to sit in second place. Further down the order, Nico Rosberg finally makes his mark on the standings, picking up a strong ten points today.